File photo. Boise State football fans at Albertsons Stadium. Before kickoff, watch KTVB's Bronco Roundup Game Day show on Channel 7 and KTVB.COM. BOISE — The Boise State Broncos will face the Colorado State Rams on the Blue on Friday. 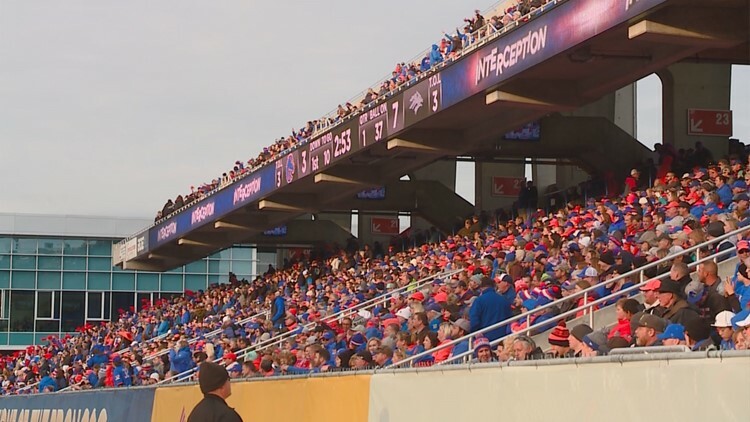 Kickoff is at 7 p.m.
KTVB's Bronco Roundup Game Day show will be live from Albertsons Stadium before the game from 6 - 7 p.m. on KTVB, KTVB.COM (bookmark this page! ), and in the Bronco Roundup app. Join Jay Tust and Will Hall along with special guests on the Blue for a look at all of the major storylines surrounding this matchup.